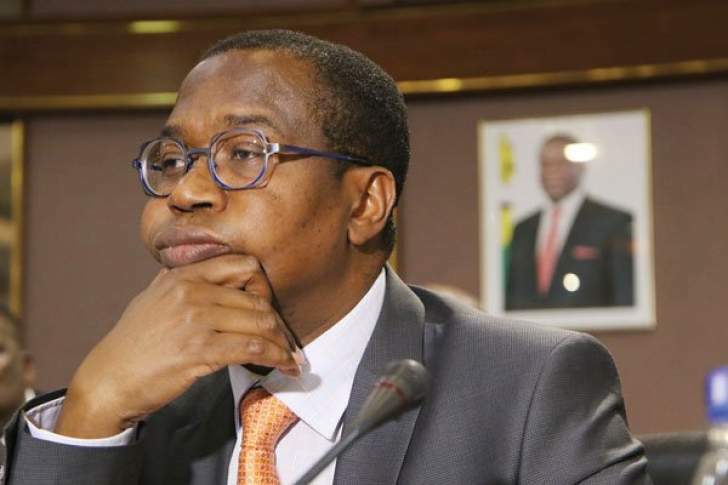 MDC legislators last week grilled Finance minister Mthuli Ncube and Justice minister Ziyambi Ziyambi over the legality of the two percent tax which was introduced in October this year. "The problem with the Statutory Instrument is that it seeks to amend a substantive provision of the Income Tax Act. The intermediated transaction tax is legislated; it has been in our law since 2002 where it was US$0,5 cents per transaction. "So, Section 22 (g) of the Income Tax Act provided that there will be a transaction tax of US$0.5 cents per transaction. What the minister did through a Statutory Instrument that he enacted on the 12th October, 2018 was to repeal and override a defined provision in an Act of Parliament," MDC MP for Harare East Tendai Biti said. He said Parliament's primary law making power must not be delegated. "It is only Parliament which makes the laws, so when the minister of Finance and Economic Development on the 12th October, 2018 made law by repealing Section 22 G of the Income Tax Act Chapter 23:06, he breached Section 134 of the Constitution of Zimbabwe." "When he was Finance minister (Biti), he made provision for what the minister did. "He amended Section 3, of the Finance Act to authorise that, subject to confirmation by Parliament. Now, he is standing here to say what he authorised when he was minister is now wrong! "However, I put a point to the effect that Parliament has procedures of rejecting or accepting Statutory Instruments. We cannot labour ourselves; what he is saying is that primary powers of Parliament to make laws must not be taken away. It is correct but it is for some reason that has been taken away by the minster. "The Parliamentary Legal Committee (PLC) will correct that, their duty is to ensure that ministers do not do that and they bring an adverse report to that effect to this august House, that is why I have objected to say that what he is saying is academic at this moment in time." "The issue of two percent is not causing inflation but people are worried about prices and not about the two percent. It is a minute figure that is not causing people a headache. The issue is prices and inflation." "If the minister only wanted to target the informal sector, he must focus on issues which will target that particular sector and not this one which actually targets the rich, the poor and even those who are not in business. "Anyone who has been forced by the circumstances in this country where there is no cash to transact using electronic media, whether it is through the bank transfers or through EcoCash, the bottom line is that people do not have a choice. "You are punishing those who are in employment, particularly the civil servants who do not have a choice because they get their salaries through a transfer. "There is no way that they can get any cash." "If you ask anybody in the street about the two percent tax, people are not happy with it. "The issue is about the people of Zimbabwe and their living; we do not eat vehicles, they do not eat vehicles."